With sleek, angular lines and soft edges, the Ashlyn 1-Handle 6 Setting Diverter Trim Kit Only in Chrome (Valve Not Included) creates a modern appeal at an attractive price. Getting ready in the morning is far from routine when you are surrounded by a bath that reflects your personal style. 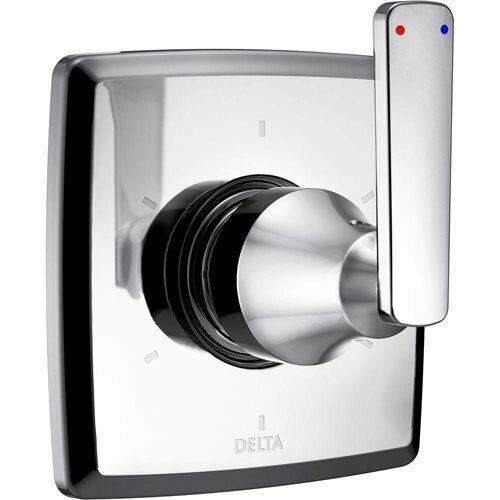 You can buy with confidence, knowing that Delta backs this faucet with a lifetime limited warranty.